S 500 x 296px 0.5 Mb. L 2000 x 1185px 8 Mb. XL 4242 x 2514px 15 Mb. 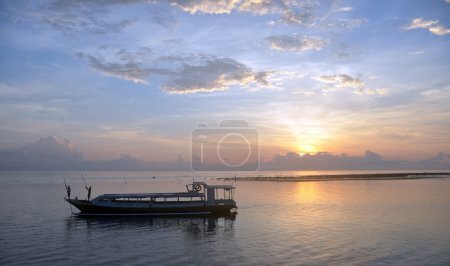 Bali, Indonesia - February 14, 2012: Balinese fishermen preparing their boat at dawn on Sanur Beach, February 14, 2012.